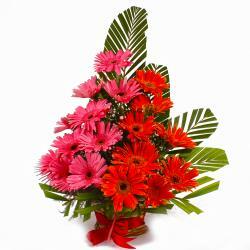 Product Consist : Basket of 25 Mix Exotic Seasonal Basket includes Roses, Carnations, Gerberas, Lilies or Orchids with lots of Green fillers. 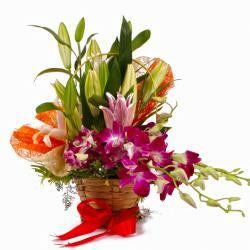 Have a look at the spectacular basket arrangement of Exotic Seasonal flowers The basket here is with a round handle and it contains Roses, Carnations, Gerberas, Lilies and Orchids with many other exotic flowers. 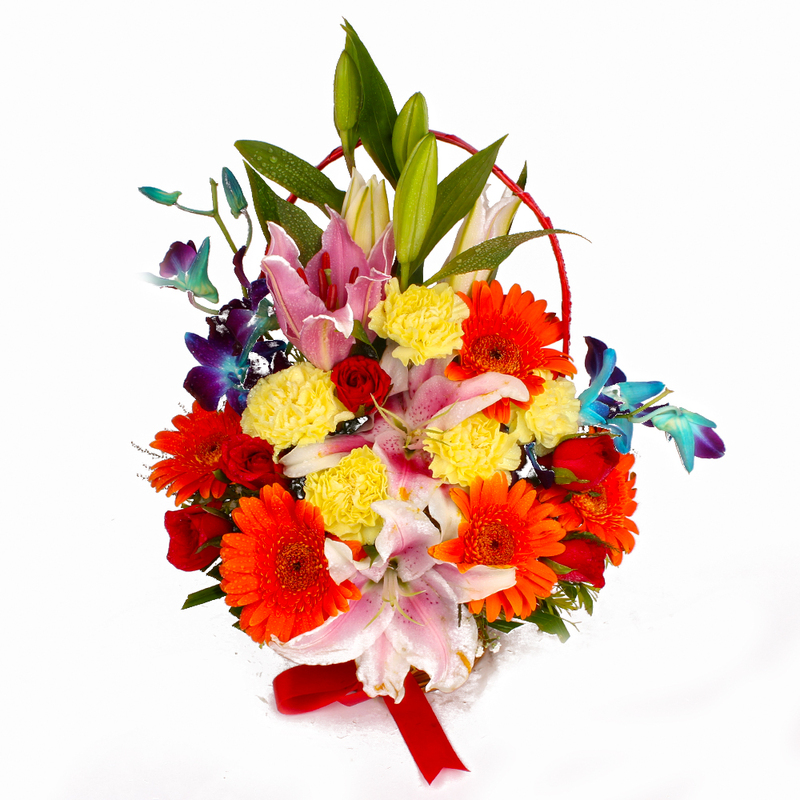 There are Twenty Five stem of colorful mix flowers are carefully handpicked by experienced florists and then arranged in the basket. 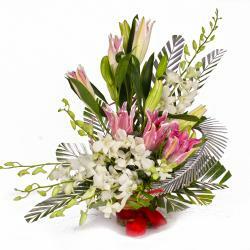 These will be delivered in super fresh condition and will be much fragrant to delight senses. You can use it to make occasions like Valentines Day, Birthday, Anniversary, New Born, Janmashtami, Grandparents Day etc, all the more memorable. 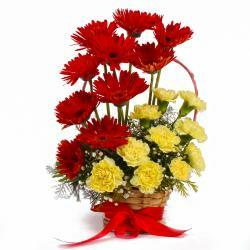 Anyone will love to receive this Vivid Floral Basket from you. 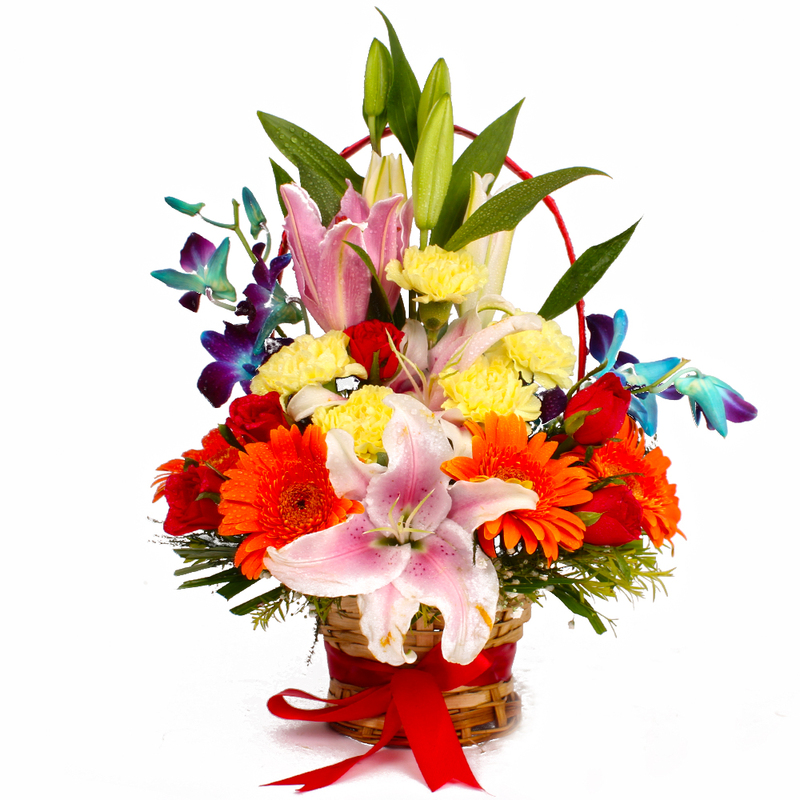 Product contains : Basket of 25 Mix Exotic Seasonal Basket which includes Roses, Carnations, Gerberas and other mix exotic flowers like Lilies, Orchids with lots of Green fillers.